Our customers are doing incredible things and we love to celebrate their achievements. By far the best opportunity to meet and learn from our customers is at Oktane. Highlighting individuals and companies around the world truly makes Oktane special. We want to go beyond telling you how valuable our customers are, we want to show you. 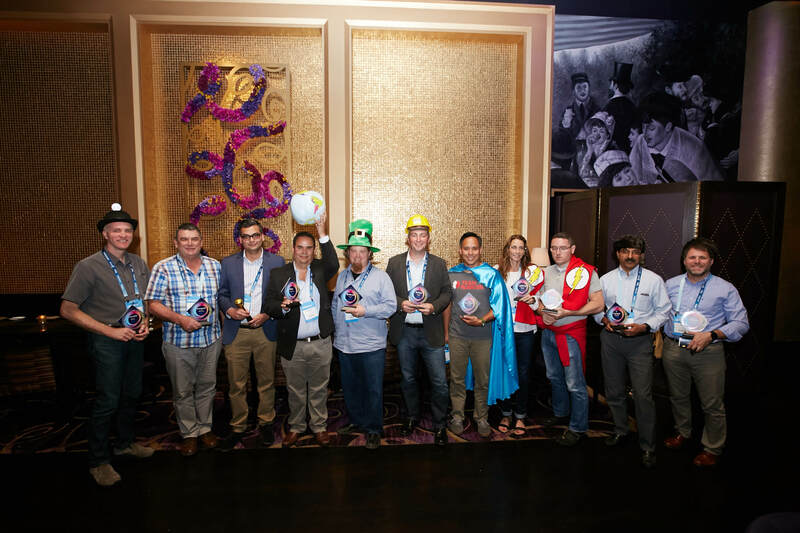 The Oktane Awards allow us to recognize and reward the innovative individuals who equip their organization with the right technologies. Please join us in congratulating the 2018 Oktane Award Finalists. See you at Oktane18! Challenger: Customers who challenge the status quo and drive great technological advancements for their companies—and for Okta. KAR Auction Services’ Nikki Doty continually challenges Okta and other service providers to quickly develop richer provisioning integrations. Another finalist, Chris Page and the team at RBC Ventures, deployed an application using social-authentication and Okta. The application, DRIVE, has over 5,000 installations on the web, iOS, and Android. Evangelist: These customers take advocacy to the next level. They’re so passionate about Okta, you would think they worked for us! Whether they are speaking at events, leading User Groups, or sharing Okta on social media, we are lucky to have evangelists worldwide. This year’s evangelist finalists include Adrian Brown who utilized Okta during the TP ICAP merger and the founding member of Okta’s Australia User Group, Kelsey van Haaster. Boundless: We recognize customers who are effectively extending Okta and “doing it all” to manage identities across organizational boundaries. These individuals understand that there is no limit to what we can achieve together. LabCorp, for instance, began utilizing Okta to manage employee, contractor, and partner access to their applications and has since added identity management for their patient, provider, and payer portals as well. Cardinal Health also uses Okta to connect patients, providers, payers, pharmacists, and manufactures for integrated care coordination and better patient management worldwide. Lightning: Many of our customers have succeeded in rolling out Okta to thousands of end users in a matter of weeks—or even days. These finalists are setting a new standard for fast deployments with hundreds, even thousands of users in multiple countries across numerous domains and applications all deployed within a few days. Impressive is an understatement. Innovator: Companies who have been around for more than 100 years, yet evolve rapidly to driving modern approaches to IT. These companies understand that in order to better serve customers and continue innovating their core business, they had to migrate to a more modern IT architecture. Builder: This award recognizes developers who are using Okta as the identity layer for their products and services. With Okta handling identity management, these individuals can focus on building the features their customers care about most. Faiza Kacem architected a solution that integrated Okta within the bank's digital channels, which are accessed by over two million clients. Another finalist, Alain O’Dea, single-handedly wrote over 7,000 lines of code to revamp a tool used by hundreds of Okta customers. Believer: Loyal customers who are true believers in the company, the solution, and the future of Okta. These individuals have brought the power of Okta to a new company and have been successful with more than one Okta implementation. Their unwavering support does not go unnoticed. Okta for Good: Nonprofit customers using the Okta Integration Network to accelerate their mission and deliver lasting impact. With 800 employees on staff and over 4,500 field workers in 31 countries, the Norwegian Refugee council partnered with Okta for a more agile and secure IT solution to continue its mission of saving lives and rebuilding futures. Additionally, Okta helps City Year easily provision and deprovision it’s 3,000 new volunteers every year. We’re constantly inspired by the new and innovative ways you’re using Okta and sharing the Okta story. We look forward to celebrating with you at Oktane where we’ll announce our winners. Join us—there’s still time to register! 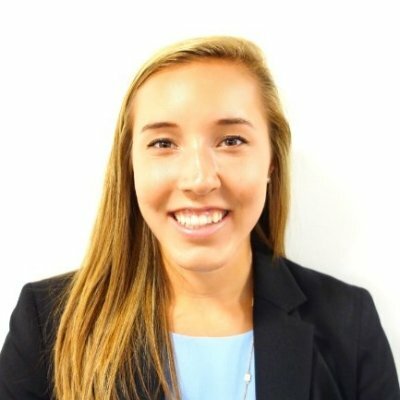 As a Customer Advocacy Associate at Okta, Ally Kozel enjoys learning about and sharing how our customers are driving modern approaches to today’s toughest business challenges. Ally graduated from Elon University where she studied marketing and event management. In her spare time, she enjoys coaching lacrosse and exploring San Francisco with her friends.